Variation Accepted by SN: Operating between St Budeaux Library and St Budeaux Square given service number 223/57 effective from 13-Jun-2011. To amend Timetable. This route is of course subject to increased competition from First service 3. Many of us suspect that the route cannot sustain both companies running such a frequent service so the detail behind this VOSA notification will be keenly awaited by many! Registration Accepted Starting Point: Outland Road DHS Girls School Finish Point: Derriford Hospital Via: Milehouse, Stoke, Weston Mill Service Number: 116 Service Type: Normal Stopping Effective Date: 04-SEP-2011 Other Details: Monday to Friday Plymouth schooldays only. PM journey only. Registration Accepted Starting Point: St. Dominick School Finish Point: Saltash Community School Via: Hatt, Carkeel, St Mellion Service Number: 117 Service Type: Normal Stopping Effective Date: 04-SEP-2011 Other Details: Monday to Friday Cornwall school termdates only. One AM & one PM journey. These last few are Schools service for the new school term. 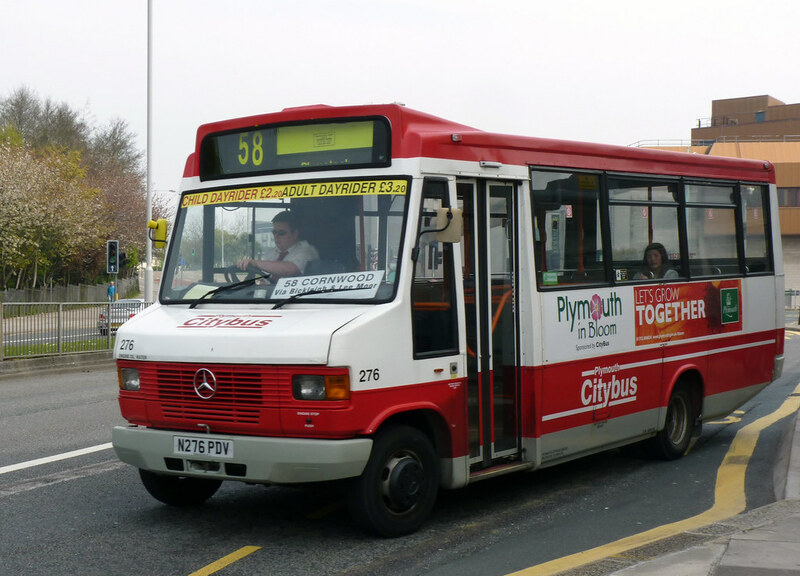 The 58 / 59 was one of the last routes to see fairly regular minibus operation. Target Travel have won the 59. The tender specified a low floor vehicle so it will be interesting to see what they use and where they take the buses from. A reduction before the end of the 26 perhaps??? ?